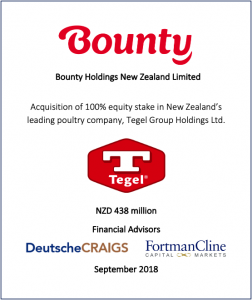 Bounty Fresh, the poultry company founded by low-key businessman Tennyson Chen, has received regulatory approvals for its $309 million acquisition of the Tegel Group, removing the last hurdle in the completion of the transaction. In a disclosure to the New Zealand Stock Exchange, Tegel said it has already received the approval from the Overseas Investment Office, the agency regulating foreign direct investment into New Zealand. 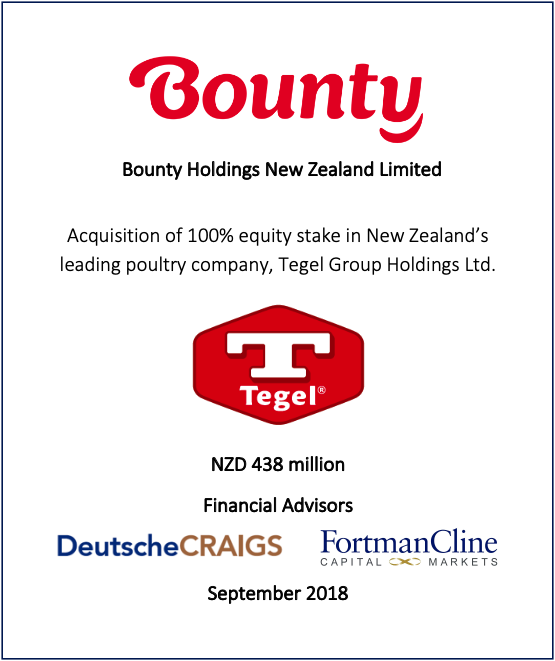 With the offer approved, Bounty as the holder or controller of over 90 percent of Tegel shares now becomes the dominant owner of the company. The transaction by Bounty Fresh marks yet another global acquisition by a Philippine company. It came at a challenging time for the New Zealand company amid a glut in domestic chicken supply. Tegel’s 45 percent shareholder, Claris Investments, had already accepted the offer. The bid was part of Bounty’s expansion strategy outside the Philippines. Bounty Fresh was founded in the 1980s by Chen who started the business in a one-layer house in Sta. Maria, Bulacan with an initial 5,000 heads of chicken. From a 5,000-head layer farm, the business grew to be one of the largest broiler integrators in the country. Today, it is the only fully-integrated poultry company that has continuously invested in company-owned facilities. These include grand parent farm, parent stock farm, hatcheries, dressing plants, feed mills, and cool-cell broiler complexes in the Philippines. It is the first company in the Philippines to put up a single-stage commercial broiler hatchery, a technology that ensures better hatchery sanitation with controlled ventilation that will in turn produce better chick quality. To cater to the consumers in the various regions and islands of the archipelago, Bounty Agro Ventures Inc. was integrated to operate in several branches across the country. Bounty is now one of the largest poultry companies in the Philippines with vertically integrated farm-to-plate operations. This entry was posted in Firm News on October 19, 2018 by FortmanCline.